On the webpage you wish to send, click on the address bar at the top of the page where is has http://_________. Right click on highlight. Copy. 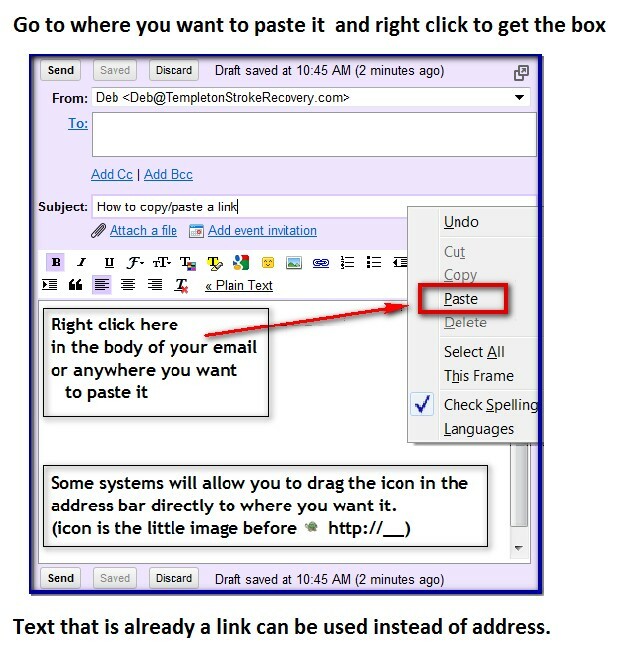 Go to where you want to put it with the cursor ie in the email body. Right click. Paste Sometimes you can also drag (left click hold) the little icon just left of http:// onto where you want it. 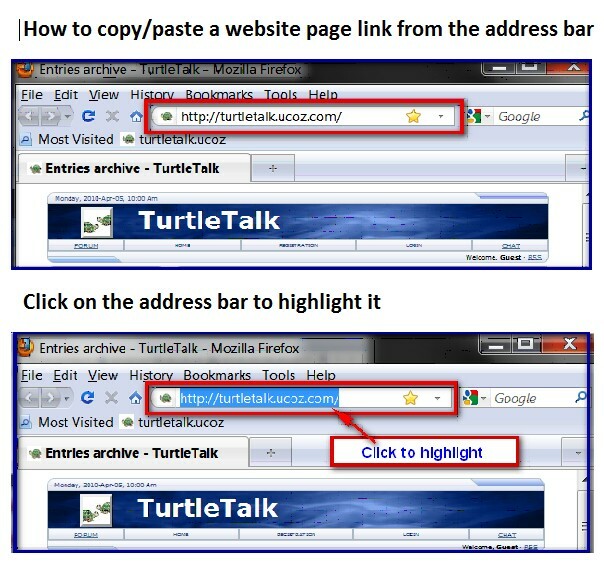 If you want to copy an actual text link that should work too. Manoman; I think I'll let you do it ALL, Deb.